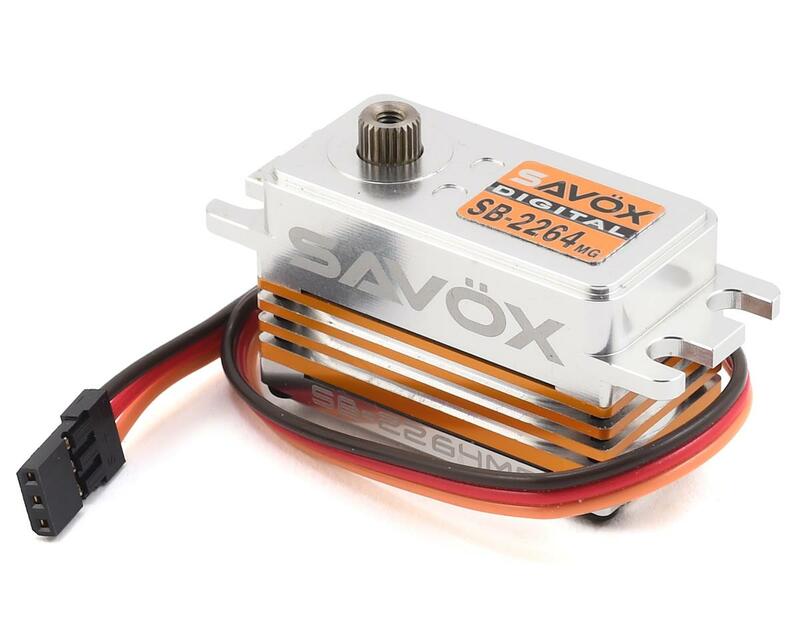 Savox SB-2264MG Low Profile Digital "High Speed" Metal Gear Servo. Ideal for 1/10 on road vehicles, 1/10 scale off road, and helis. MALO NO LO RECOMIENDO, SE GOLPEO ALGU SUAVE EL AUTO Y EL SERVO DEJO DE FUNCIONAR. I used this low profile servo in a Tekno EB410. I used it at one night of practice and it stripped itself out. The servo before destruction worked well, however I thought it would take more abuse. 2 stars for being a nice piece but minus 3 for not lasting very long for a METAL GEAR SERVO. UPDATE....I replaced this servo with a PROTEK PTK-160T. I highly recommend this servo over this particular SAVOX. The protek weighs ~6 grams less and comes with an aluminum servo horn. I had purchased it separately in the beginning and the price is basically the same in doing so. If you have a choice and what a better quality piece go with the protek. very cheap. bought this servo lasted a few batteries. when first installed to my eb48sl it seemed like a gear was stripped but problem went away when I put a metal servo horn on(would not return to center after turning and would not turn all the way back the other way). has a water proof seal on top and bottom so should be water proof. servo wire is to short so there is another $5 or void your warnty. 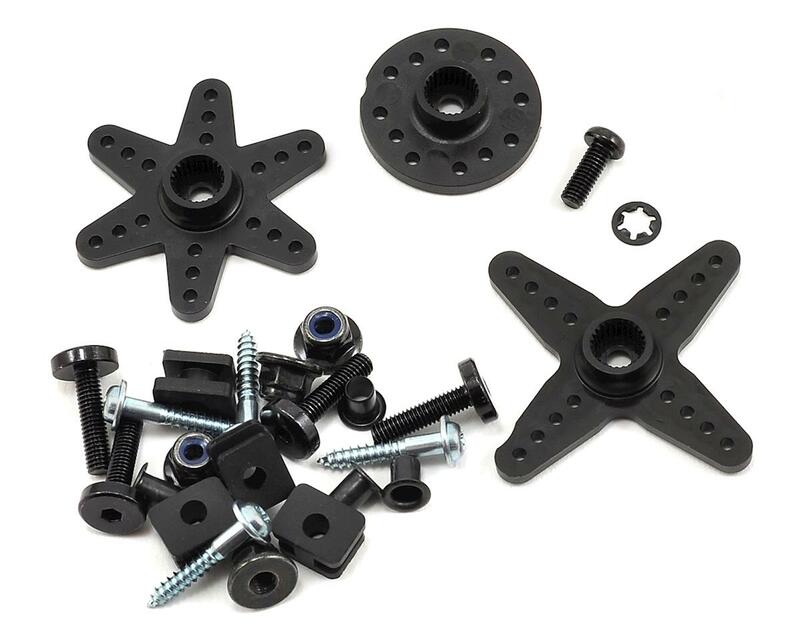 the servo stop is just a plastic piece inside unlike other servos that have a plastic stop along with at the bottom of a gear there is a rod that will hit the end points. the plastic stopper is what broke in my servo it seems as there was nothing to keep the servo from turning further then it should(when i had problems with the servo it did not have strength to turn the wheels anymore). this servo can not be taken apart easily to get at the board and try and fix it. as far as i can see you can not take the board out without breaking it. all the gears are metal and it has rubber seals on both sides of the case but is not water proof. 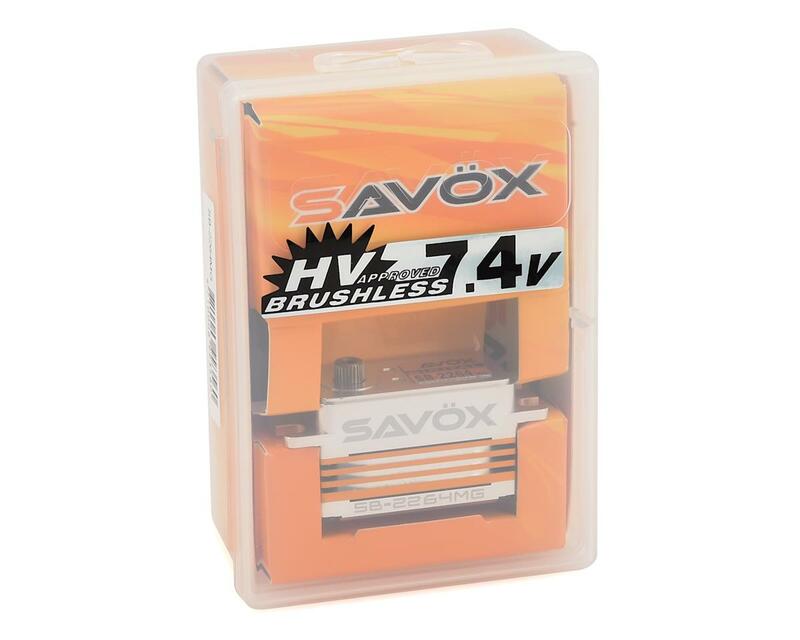 would not buy savox again with there crap support and a brand new servo dying after a few batteries. spend the extra $40 on a nice protek servo so you dont have to spend another $100-150 on a new servo in a week. also the plastic servo horn i had seemed to rub off some of the metal housing on top what seems like very cheap and weak metal.